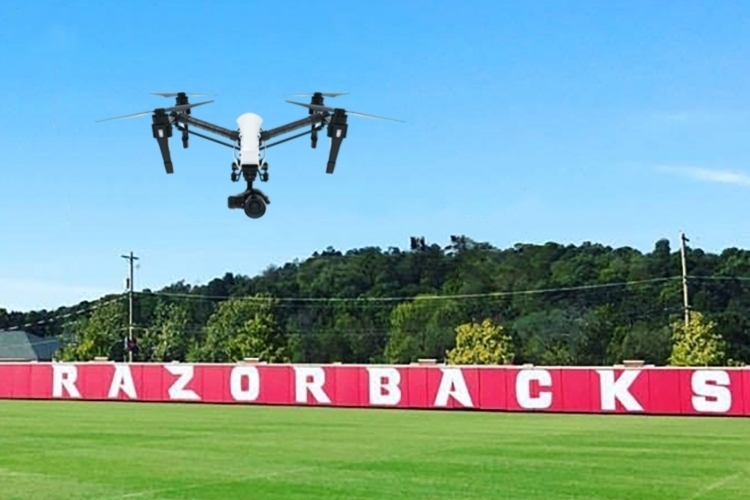 In-person and remote University of Arkansas students have a chance to learn about unmanned aircraft systems in a condensed format this spring semester. The course will focus on the fundamentals of drone operation and applications for drones in research, government and business settings. The content includes government compliance, licensing requirements, University of Arkansas policies and current events. The course will meet in-person, or via video for online students, in three sessions - Jan. 14, Jan. 28 and Feb. 11, and there will be a final practice exam using a drone. Students will leave the course prepared to participate in research using unmanned aircraft systems, and course graduates will be qualified to take the FAA 107 examination to become a commercial remote pilot. The course is a three-hour, graduate-level course. Qualified undergraduates can be admitted with a recommendation from an advisor. Interested undergraduates need to fill out the Out-of-Career Registration Form at https://registrar.uark.edu/_resources/pdf/out-of-career-reg-grad.pdf and provide it to their advisor. The course is taught by Richard Ham, a seasoned transportation executive with 37 years of experience in security, safety operations, program administration, compliance and enforcement. Ham is the associate director of the Master of Science in Engineering Management and Master of Science in Operations Management programs. Course registration is available through UAConnect at uaconnect.uark.edu. The course is OMGT 5903 - Unmanned Aircraft Systems.